A warm welcome begins at home - and this home is warmer than most! Boasting intricate details reminiscent of pioneer mill cabins, this beautifully handcrafted piece promises years and years of enjoyment. 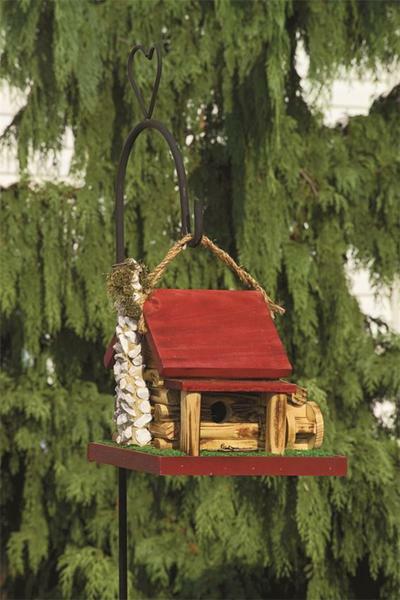 Simply hang it from a hook, rope, or even a branch, and watch as a family flocks in to make your bird house its home. Choose from a rainbow of colors to find your perfect shade. If you've any questions at all, please don't hesitate to get in touch - we would love to hear from you.